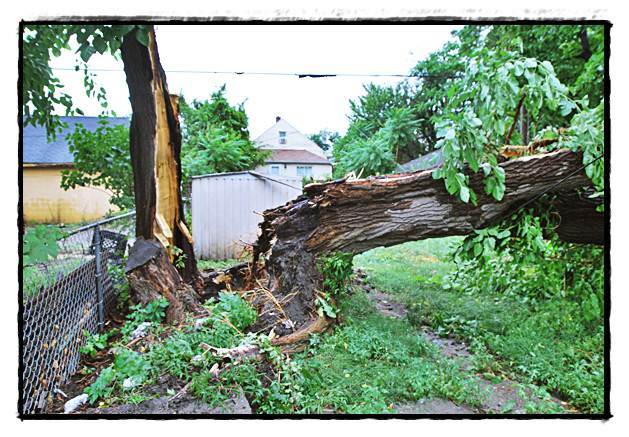 Hamtramck hasn’t experienced a storm like Monday’s since maybe the 1997 tornado. Of course, the 1997 tornado was much more destructive, leveling or damaging dozens of houses and structures as well as toppling over 500 huge trees. 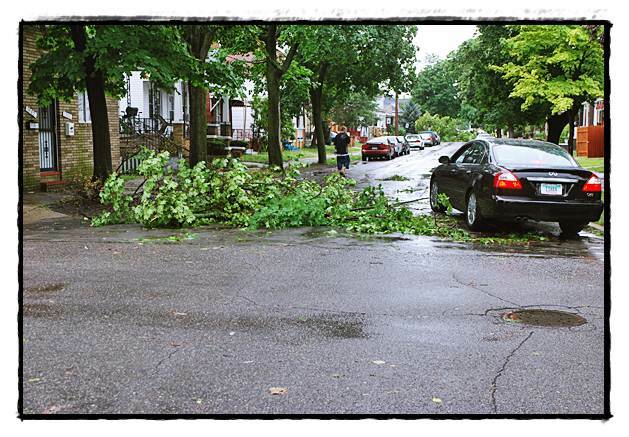 Monday’s storm knocked down a dozen or so big trees and severed a number of tree limbs. At least two houses suffered extensive damage, and an unknown number of cars were also damaged. City officials didn’t tally the final count in damages, but just from what The Review saw and heard about, there were about 40 incidents. The storm quickly whipped through town, and the destruction was over in seconds. Most of the damage occurred in the area around Buffalo between Trowbridge and Evaline. Weather experts said there were wind gusts of up to 70 miles per hour, and there may have been instances of wind shears. City Manager Bill Cooper said there were about 3,000 households in the area without power for awhile. Fire Chief Steve Paruk said DTE crews were here quickly to restore power.